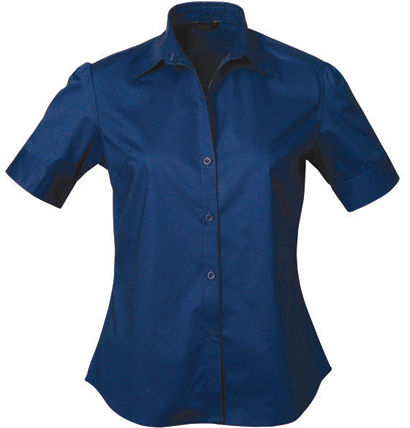 With a semi-fitted cut and made from a supple 97% fine cotton/3% spandex blend, the Stratagem Shirt is available in both 3/4 length & short sleeves for ladies. 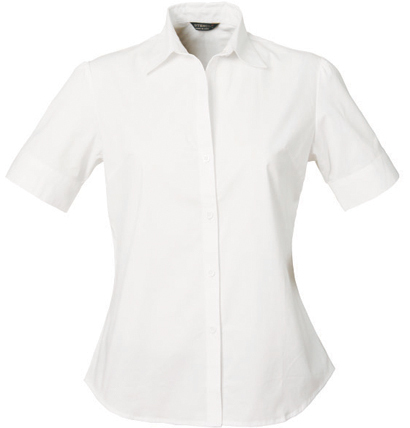 The ladies’ short-sleeved shirts also feature mock cuffs and darted sleeve caps. When it comes to on-going promotion for your business, one of the best ways is through branded business shirts. They offer a professional look, and help promote your brand wherever your staff may be. 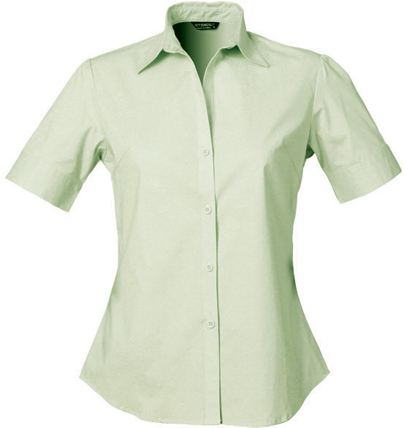 The Stratagem Ladies Short Sleeve promotional business shirt offers a great look in a casual button down style shirt. Combined with the ladies quarter sleeve and the men’s long sleeve and short sleeve Stratagem business shirts, your team will look great in no time. Available in five great colours, these shirts are made from 97% fine cotton and 3% spandex blend making them comfortable to wear around the office or while out on the road. 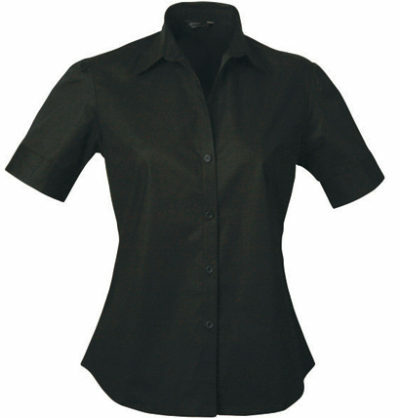 This ladies shirt features a relaxed v-neck buttoning, semi-fitted cut, mock cuffs and darted sleeve caps providing a professional yet comfortable and durable option for your staff. These shirts range in sizes from 8 – 22 and will look great with an embroidered logo promoting your business. Professional business shirts are a great way to keep your business and services top of mind, and will help passively promote your brand wherever your staff area. If you’re in the market for your next promotional business shirt, take a closer look at the Stratagem business shirt range.